Malabon is known for its pancit and sweet delicacies such as pichi pichi and kakanin but it is also becoming a food trippers’ haven with several food establishments mushrooming in the area. Among Malabon’s famous restaurants is the floating restaurant, Balsa sa Niugan. 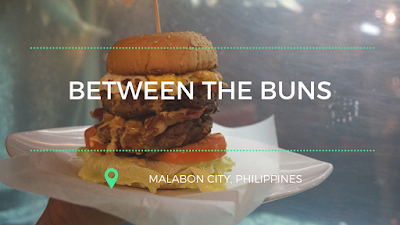 It now houses a cafe called Kapihan sa Balsa where Between the Buns, a joint that offers comfort food, is also being housed. 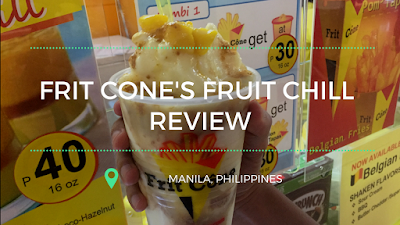 The Eatventurers tried out Between the Buns last month and here’s our review. Did you miss Mr. Sun? The past few weeks have been rainy and so seeing sunshine was such a rare thing, but how do we enjoy this hot weather? The Eatventurers discovered Frit Cone’s stall in 2016 but it was only this year that we tried their Graham Fruit Chill.